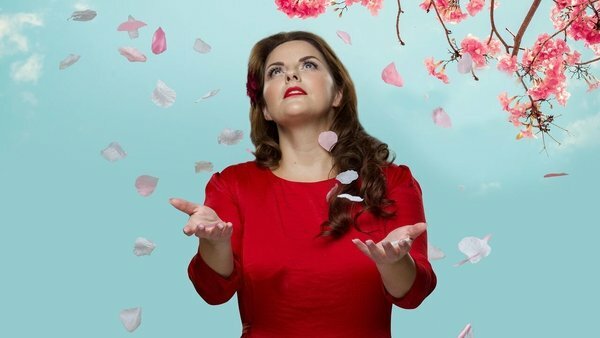 Irish National Opera and RTÉ are proud to launch a brand new RTÉ Player Exclusive: Irish National Opera’s critically-acclaimed production of Puccini’s Madama Butterfly, starring Celine Byrne, presented in association with the Bord Gáis Energy Theatre, in partnership with the RTÉ Concert Orchestra, and available to viewers worldwide on RTÉ Player from Saturday 6 April. 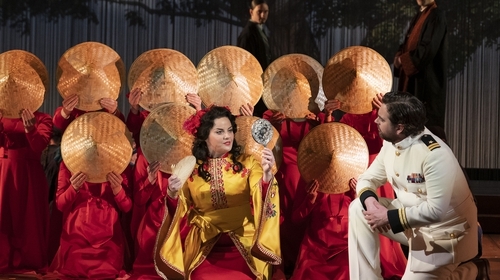 Watch Madama Butterfly here, via RTÉ Player. Director Ben Barnes’s new production of an old favourite thrilled audiences during performances at the Bord Gáis Energy Theatre and the Cork Opera House, and now, from Saturday 6 April, viewers worldwide can discover the "simply extraordinary" Celine Byrne as Madama Butterfly for themselves, exclusively on RTÉ Player. Irish National Opera’s artistic director, Fergus Sheil, said "Irish National Opera is delighted to partner with RTÉ to broadcast Puccini’s great opera. Madama Butterfly is one of our largest productions of 2019, and we are enormously proud of the achievement of the cast, chorus, creative team and of course the magnificent RTÉ Concert Orchestra who play with such passion and precision." This new production of Puccini's classic stars Celine Byrne (Cio-Cio-San/Madama Butterfly), Julian Hubbard (B.F. Pinkerton), Brett Polegato (Sharpless) and Doreen Curran (Suzuki) along with a host of Irish and international singers and the Irish National Opera Chorus.The RTÉ Concert Orchestra is conducted by Timothy Redmond. The opera is directed by Ben Barnes with set designs by the award-winning Todd Rosenthal and costumes by Joan O’Clery. This RTÉ Player Exclusive marks an exciting new venture between INO and RTÉ, one that will bring Irish National Opera productions to digital audiences at home and abroad via the newly-revamped RTÉ Player - audiences worldwide will be able to access world-class Irish-produced opera through their smartphone, tablet or TV, making Irish opera productions more readily available than ever before. In addition to being able to watch the entire opera on RTÉ Player, audiences will have a chance to enjoy Celine Byrne’s powerful performance on RTÉ lyric fm’s Opera Night on Saturday 18 May at 7pm. Madama Butterfly by Giacomo Puccini, starring Celine Byrne and featuring the RTÉ Concert Orchestra is available to viewers worldwide on RTÉ Player from Saturday 6 April and to radio listeners worldwide on RTÉ lyric fm Opera Night on Saturday 18 May at 7pm, then available for listenback.